Hello, I am Hannah. 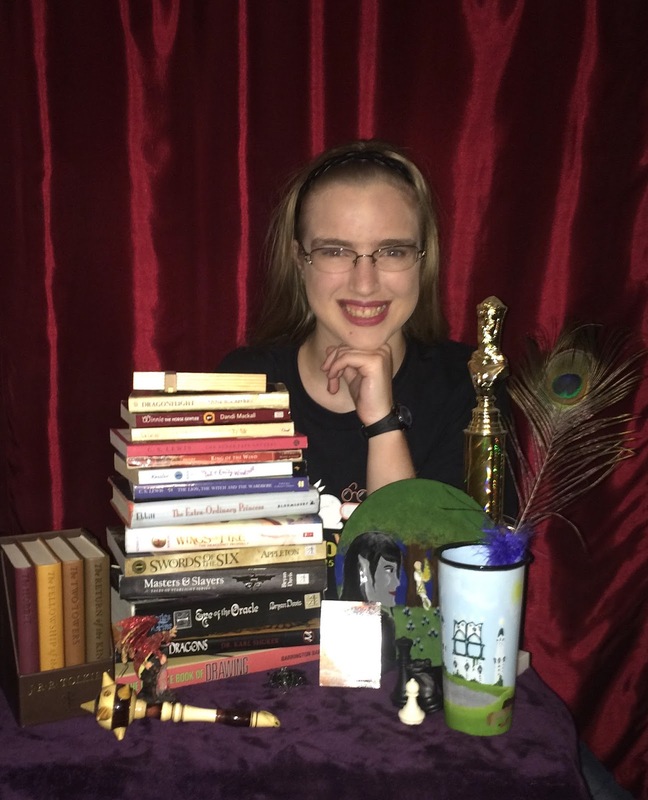 I am a junior in high school in a homeschool program called Classical Conversations. I live in east Texas, but spent most of my life in central Florida. I have been an avid reader since before I could read, forcing my mother to read to me constantly. I began my love of fantasy with Grimm's Fairy Tales and Greek Mythology, but it quickly evolved into a love of many different genres: fantasy, science fiction, historical fiction (ancient times through the Renaissance), spy/military, action/adventure, and mystery. But fantasy always remained at the top of my list. I have a weakness for well-developed, interesting fantasy or science fiction worlds, and my desire to create my own prompted me to begin writing down some of the many ideas I had. Being the oldest child, I was the "leader" of my siblings, and my love of magical worlds and complex stories showed up early, as my younger sister and I would spend hours building castles and setting up cities to play what many would call an amateur role-playing game. My first attempt at a novel fell completely apart. That process taught me that I am very much a plotter, and, two years later, I have a completed draft. I love my story, and I love my world, so my hope is to turn this into a series (even if it never gets published). Thanks for stopping by! Enjoy the blog! I loved reading your introduction, Hannah, as I have witnessed your love of your fantasy worlds over the years. That, along with your love for the written word, is a great combination for a budding author. I look forward to checking in on your blog from time to time!